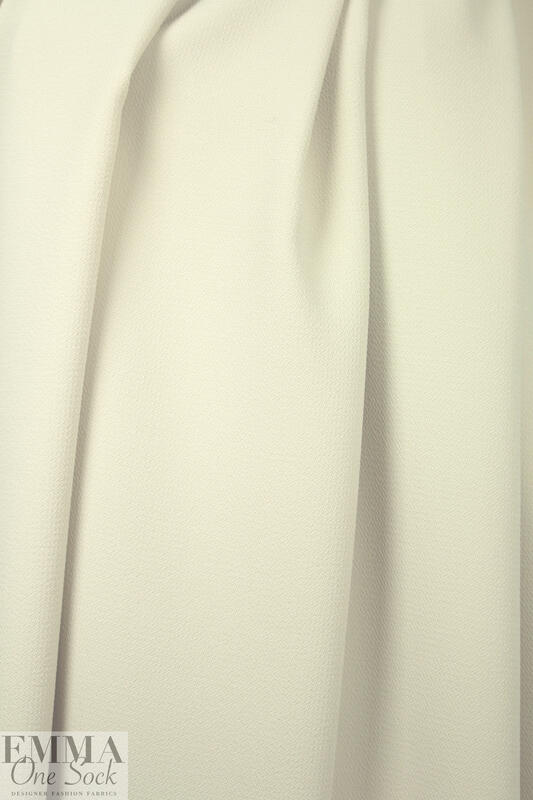 This lovely and verstile Italian textured woven from a NY designer is drapey, medium-light weight and opaque, with a micro-chevron texture on the face with a smooth back. It has about 20% stretch in both directions but with good recovery, and the color is a light neutral angora tone (PANTONE 12-0605). 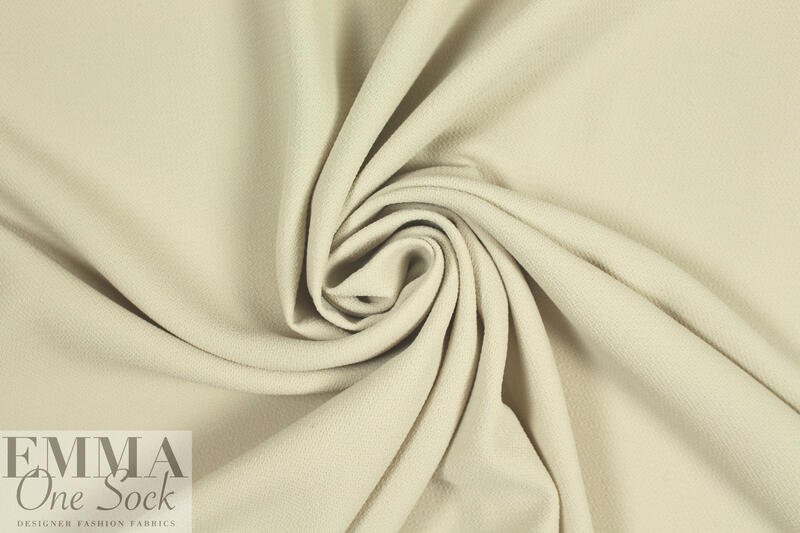 It is perfect for any number of drapey travel coordinates as it is wrinkle free and hand or machine washable.